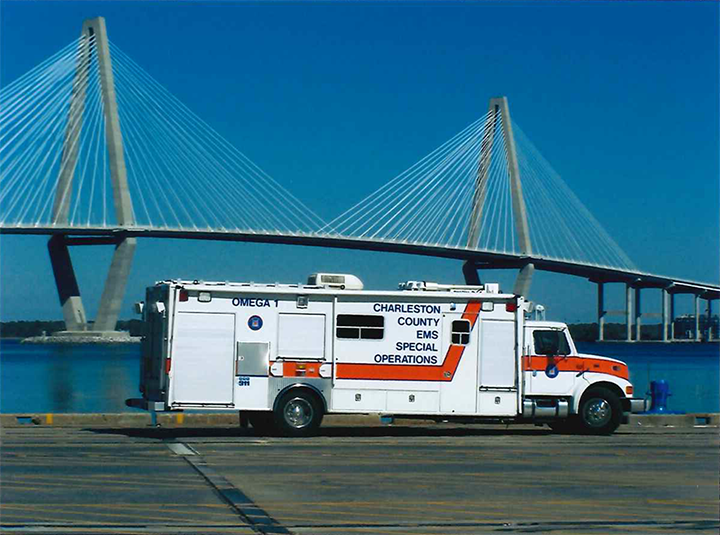 The mission of Charleston County EMS is to provide prompt, efficient and effective care to all citizens and visitors in our county. This is the mission we accomplish more than 150 times a day. There are special circumstances where patients are not easily accessible or are in situations that pose great danger to themselves, their rescuers or our community. These special situations do not absolve us of our responsibility to these patients, but do require our medical personal to have specialized training and equipment to meet these needs in a safe manner. 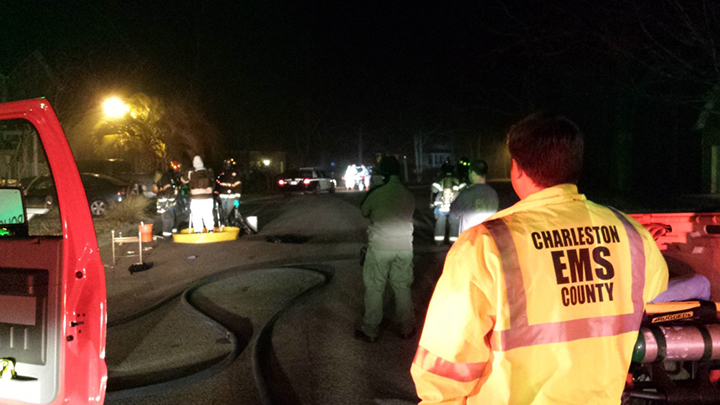 Charleston County EMS has initiated and continues to develop specialized teams of paramedics trained and equipped to meet these critical needs. While the frequencies of these needs are variable, the intensity of skill and resources necessary to safely and effectively accomplish our mission are of the highest nature in emergency response. Without these skills and resources, the emergency medical needs of patients in these situations cannot be met and lives would be in danger. The EMS Bike Team is used at large events where access by an ambulance is limited. Events like the Charleston Air Force Base Air Show, Cooper River Bridge Run, various parades, Piccolo Spoleto Festival, and the Southeastern Wildlife Exposition are just a few. Bike Team members are equipped to provide an immediate response to all forms of emergency calls, from a skinned knee to a cardiac arrest. In crowded situations, the Bike Team has the ability to reach patients much faster than a standard ambulance, sometimes making the difference between life and death. Law enforcement agencies who respond to high risk situations utilize specialized emergency medical teams, frequently known as special weapons and tactics (SWAT) teams. 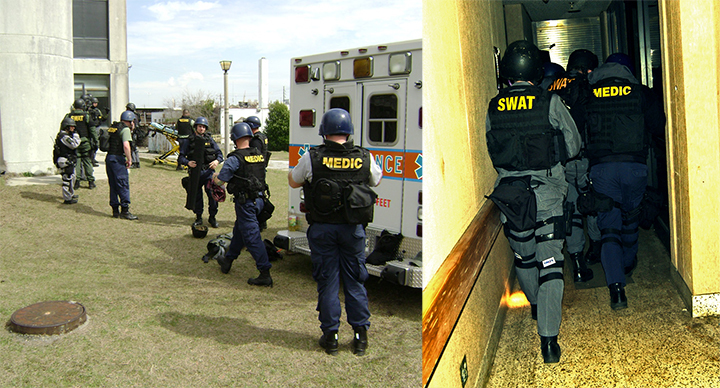 Due to the high risk of personal injury to these officers, as well as to bystanders, the Tactical Emergency Medical Service Team was developed to provide a specialized group of paramedics who respond with these law enforcement SWAT teams to provide safe and effective emergency medical care in these situations. 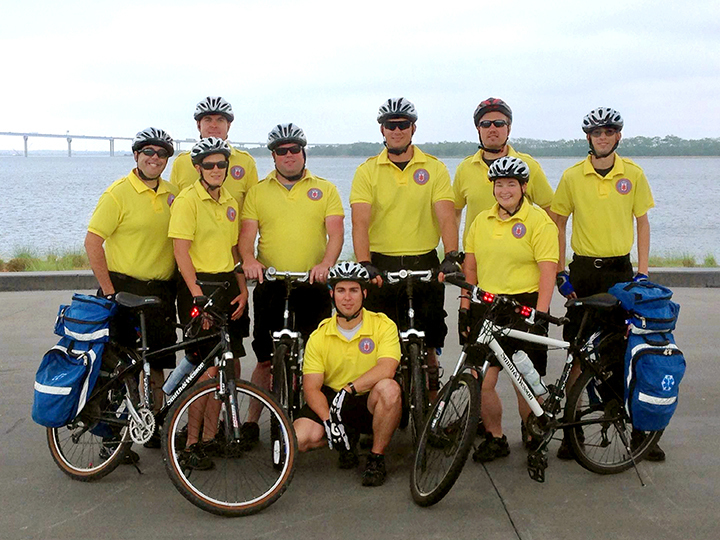 The EMS Motorcycle Squad is another patient care resource used by Charleston County. The squad consists of experienced independent duty paramedics who can first respond to medical calls and begin patient care until a transport unit arrives. The motorcycles have a wide range of medical gear and are equipped to begin handling any type of medical emergency. Motorcycles enhance maneuvering through high traffic areas or events which involve large crowds. 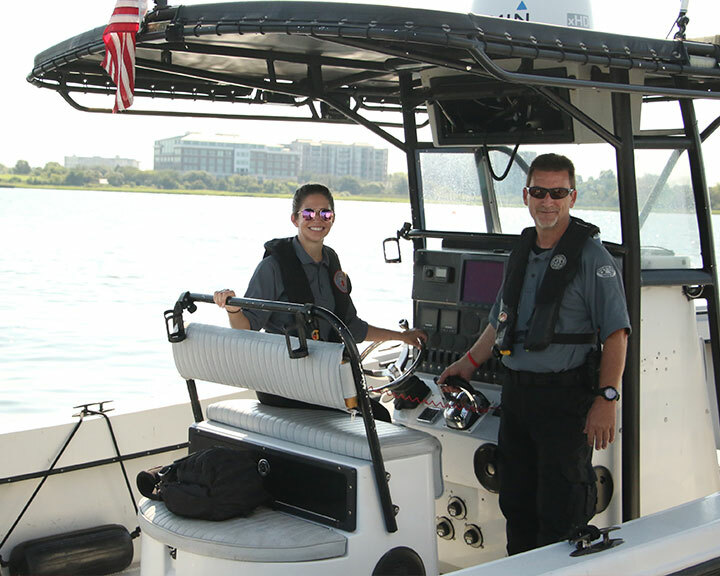 The Charleston Metro Marine Unit is a multi-agency unit that attempts to standardize the training and response of the agencies who are called for waterborne missions. The paramedics who are members of this unit have been trained in basic marine operations. This allows paramedics to operate alongside law enforcement officers to provide a joint response to calls for service on the water. During medical calls, paramedics operate as a single resource provider in a dynamic environment that may require them to think "outside of the box" due to a lack of ancillary resources and equipment. Rescue and law enforcement calls require paramedics to be responsible for assisting with navigating the waterways and maintaining the vessel's position in the water. 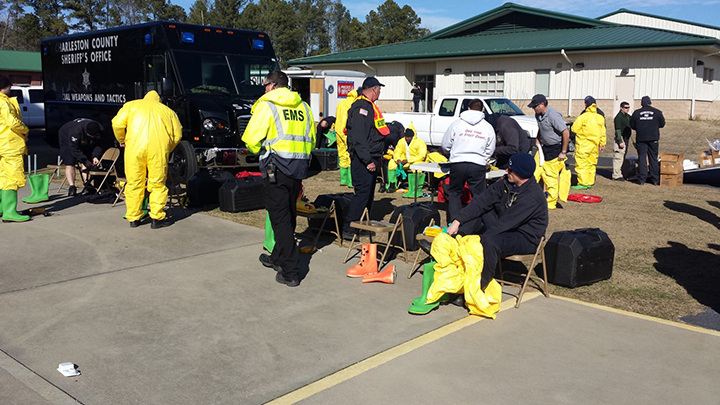 Charleston County EMS is active with the State WMD Regional Hazmat Response Team. EMS Hazmat medics are specially trained and equipped paramedics who insure that the emergency medical care of responders and citizens is both safe and effective while responding to hazardous materials incidents. These paramedics work closely with other emergency responders to provide specialized lifesaving care to contaminated victims without spreading the contamination to hospitals and the community. While Charleston's port facility and the numerous industries in the county are of great economic benefit to our community, their activities frequently involve hazardous materials. Accidents involving these materials pose a high risk to those people involved in the accident, the emergency crews dispatched to them and the surrounding community.